Ms. Fulreader completed her undergraduate degree in the World Issues Program at the School for International Training in VT, with a focus on Education for Social Change. Her college internship took her to Bolivia and Peru for a year working with indigenous women and children. She now uses Spanish in her teaching and therapy work in Santa Fe, NM. Ms. Fulreader attended Columbia University’s Graduate School of Social Work in NYC, and completed her MA in Counseling at Southwestern College in 1995. In the 1980’s, she studied for 2 summers with pioneer of Family Therapy and renowned author, Dr. Virginia Satir, and was invited by Dr. Satir to join the Avanta Network for professionals around the world implementing and teaching Satir’s methods. Ms. Fulreader has over 30 years of professional experience as a therapist working with individuals, couples, children and families. She has directed several non-profits in Connecticut and New Mexico. She has served as a bi-lingual school counselor and program consultant. She has held numerous positions over her long career including Director of the Lyme’s Youth Service Bureau in Old Lyme, CT; Founder and Counselor for the Children of Alcoholics After School Project on the Cheyenne River Lakota Sioux Reservation in SD; Home Visiting Family Therapist with Santa Fe’s New Vistas Early Childhood Program for families at risk; bilingual Family Therapist and Mental Health Consultant at UNM Children’s Hospital; Child and Family Therapist at Su Vida in Santa Fe; Director of the Santa Fe Children’s Project, United Way of Santa Fe County; School Counselor and Parent Educator for the Santa Fe Public Schools; and Director and Therapist in her own program of 25 years, Santa Fe Counseling & Consulting. On a personal note, Ms. Fulreader is the grateful mother of two grown children, graduating in May 2015 from Santa Fe High School, and the University of New Mexico, respectively. She served as Secretary of the Board of Directors for Partners in Education in Santa Fe, and is an active member of Amma’s Children’s Outreach with the Amma Center of New Mexico, serving children in need with school clothing and literacy support. Ms. Fulreader resides in both Santa Fe and the rural village of Dixon, NM. 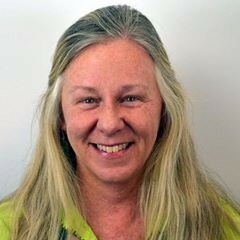 Ms. Fulreader’s rich professional career, as well as her life long exploration of spiritual paths, human development, and family constellations in different cultures, make her uniquely suited to teach at Southwestern College, and in the New Earth Institute’s Children’s Mental Health Certificate Program.